The number of contributors to the Legion of Door Whores is growing by the day. Too many to list so please look at the Authors listed to the right of this page, and check out the Door Whore Community. One of my blog friends http://thewanderlustgene.wordpress.com/ reccomended this blog to me and suggested I send you at least one of my door shots, so here is the page http://reflectionsofchina.files.wordpress.com/2012/06/door-and-lock.jpg I hope you like it? If you would like anymore, please let me know. BTW, great site here, I need to follow and enjoy. Mark, I have sent you an invitation to contribute directly to the LDW blog. Thanks Elisa it’s a panorama of a street in Cambridge UK. Haven’t changed anything except to clone out an ugly lamppost mid terrace. Thanks Bollychees I have sent you an e-mail invitation to contribute directly to the LDW. I just realized that I don’t know how to contribute directly to the LDW blog! Thanks – always up for a challenge. Had a go and its now added to your post. Thank you … I’m on it! Thank you for opening doors, long live the legion. Thank you Adrian for my invite … Very excited! I love this concept Adrian! Closed doors makes me wonder, “what’s on the other side?”. Open doors are invitations to step through and explore. Additionally, doors and doorway architecture are fabulous art forms and so fun to photograph! I’d greatly appreciate being a contributor on your blog if you can use another enthusiastic photographer! I have lots of doors in my ‘pocket’. How can I get in the Legion? I would love to contribute to the Legion. I mean, come on – who doesn’t love a good door? Thanks for the link. I have re-blogged your great selection of photos. I love the concept of LDW and would love to share some of the hundreds of photos of doors that I’ve taken around the world, especially in Portugal, where I’m based. Will send you an e-mail with a contributor invitation. Look forward to seeing some of your images. 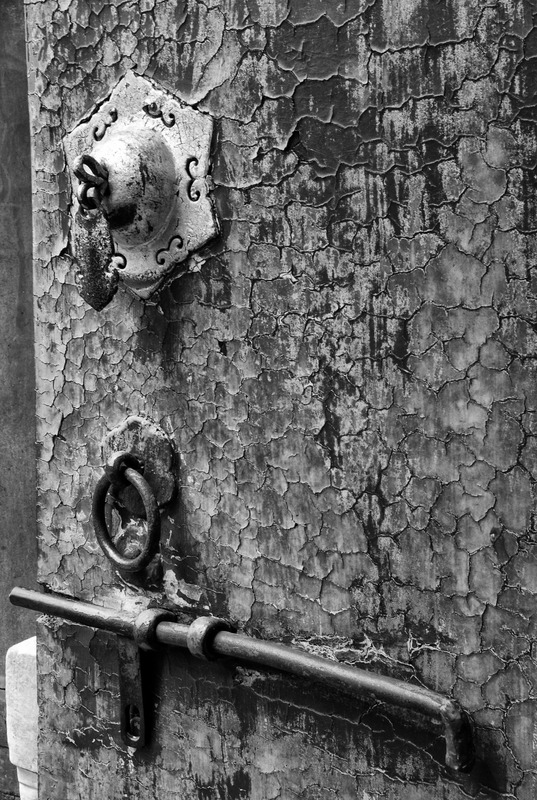 I was shocked when I came upon this blog…afterall, just yesterday I manifested a blog Behind These Doors because I also have a bit of an obsession with the notion of the door and it’s metaphorical meaning. I would truly appreciate your contributions as well. :0) I’m viewing my blog as a Global Collaboration of sorts…and wish to represent doors the world over. Rock on, door lovers! Thanks for getting in touch Kath, hope the shock was worth it? There are quite a few Door Whores in the Legion, which was only stated earlier this year. Feel free to reblog any of the posts on here to Behind These Doors. Perhaps we can support each other in the quest to collaborate internationally. I am going to put a post on here with a link to your blog so the other Legionnaires can visit. Just sent you a contributor invite – looking forward to seeing some of your doors. I thought this was a novelty when it first started, but since I added my first contribution, Ive been hooked. Its great. So many doors out there!! 🙂 Brilliant blog. Thanks John, and thanks for being one of the regular contributors. It actually started as a bit of a joke but has snowballed. Long Live the Legion!! Pleeeeeeese can I join? Doors are fascinating and mysterious and many other things. I especially like green ones. What a great idea for a blog! Jude – invitation on its way to you via email. Love it. Looove it. Thanks to Eduardo Rodriguez for pointing me this way, I guess after seeing my posts of doors in Spain. Can I be a whore? Please? Just sent you an invite to be a door whore. Welcome to the Legion. Ooops. I jumped the gun. Should I be invited first? Being a door whore, I would fit in, if you like me. Hey Adrian, Would you send another invitation, it seems to not be working for me. thanks! Good morning from down under. Adrian, I can’t seem to get more than one photo to attach to posts for the Legion. They show on the side bar, but when I preview the page, only one photo appears. I use the ‘new post’ link on my WordPress blog, and select Legion of Door Whores. Do you have any advice for me? G’day from the top of the planet. Have you tried to insert a gallery or an image? When you add new media there is a button top left I recall that says insert new gallery and that is what i use for multiple images on the same post. Hope that helps – I’m not that “au fait” with WP and tend to mess around until it works but never remember how i got there!! Hah! I wasn’t using the link on the main Legion page, that was the problem. Cheers! Thank you for reblogging my posts, visitin your blog makes me feel less weird ! Great blog! I’m going to try to merit a contribution! Thanks – looking forward to seeing your doors. Thanks for reblogging my Red, White and Blue doors. I wanna play too! Just sent you an invite to contribute directly to the Legion. Can I get my gravatar on the right sidebar now that I am contributing? It would be an honor! As far as I know it’s an automatic widget that picks up contributors gravatars. I’ll investigate! I would love to be part of your community! Just sent you an invitation. Please check out and like our Facebook page as well. Thanks for the invite. I posted a photo and this comment was made under it, so I’m passing it along to you to respond to. Congrats on the nomination for the Sunshine Award! Thanks Silvia, and sorry for the delay in responding. I and the other Door Whores appreciate your award, but I took the decision not to post awards on the blog. Hope you don’t mind. Looking forward to more of your door posts. I LOVE doors, and took several shots when Chic and I were in France. How do we contribute our own shots? I need to send you an invitation which I will do tonight. Love the name of the blog! 😀 The idea is amazing. I too have a few good shots of doors. How can I contribute to your blog? Just sent you an invitation to contribute directly. I heard from my blog friend. Would send me an invitation? Thanks for the link, have now reblogged. Would love to see more door images for your travels. and loads of doors from about 10 years of wandering. Hi Adrian, I attempted to reblog my latest post on Doors in Spain and I am not sure why the images aren’t showing or why it turned to a yellow background…any help is appreciated. Maybe you could reblog it for me? Thanks. Hi Jane, not sure what happened. I will try a reblog first and let you know. Yellow background has gone (changed post type from gallery to standard) but can’t see how to get the images visible. Could be something to do with the original post being in gallery format so WP only re-blogs a link? Will have another look later / contact the happiness engineers. Thanks Adrian- I thought that it might have been that I used a gallery slideshow that LDW format didn’t have. Appreciate your effort!